Listen to Karl Schieneman, Director of Analytics and Review with JurInnov, talk with an English solicitor (aka attorney) about the framework for approaching E-Discovery in England. At this point in time in E-Discovery, few people in the field would say we have this problem figured out. So, why not look at other systems to decide what can work? The US system has attempted to become more flexible by relying substantially on effective meet and confers to enable the parties to sort out discovery obligations and avoid messy discovery disputes and unproductive motions practice. Unless the parties agree, this approach is fairly utopian. 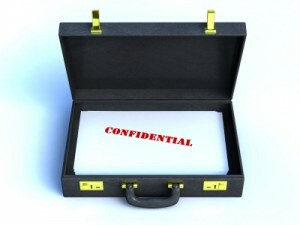 The English model goes one step further and provides for E-Disclosure instead of E-Discovery. Meaning you are obligated as a party to turn over that which is relevant to the case. We will look at this system more closely and see what seems to work and where the tensions are. Maybe we can learn more about how to improve our system from looking at others. Our panelist, Chris Dale is a graduate from Oxford University and has worked on the law firm side, software development side, then consulting side of litigation. From this myopic viewpoint, he turned his energy to commentary on electronic disclosure / discovery. Chris runs the e-Disclosure Information Project which disseminates information about the court rules, the problems, and the technology to lawyers and their clients, to judges, and to suppliers. He is a member of Senior Master Whitaker’s Working Party which drafted the new Practice Direction and Electronic Documents Questionnaire. He writes the UK’s only authoritative and objective web site and blog on the subject and is a well-known speaker and commentator in the UK, the US and other common law jurisdictions. In short, I am not sure we could have found a better guest on this show than Chris Dale and this should be a very interesting program.